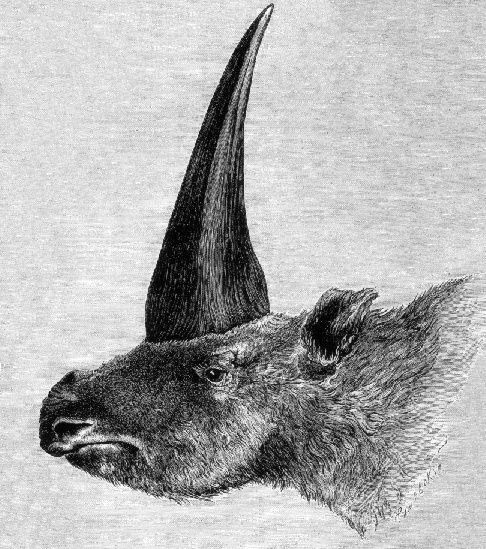 The discovery of a fossilized skull in Kazakhstan is making paleontologists rewrite the timeline of the Siberian unicorn, Elasmotherium sibiricum. This impressive animal was a real-life unicorn, though it didn’t match the image most of us have for the fairytale creature. Closer to a rhino than a horse in appearance, it was similar in stature to the mammoth. Measuring up to 6.5 feet tall and almost 15 feet long, it weighed up to 9,000 pounds. Its most recognizable feature was its single horn, which is thought to have been much longer than a rhino’s, up to multiple feet long. Its habitat was the vast territory from the Don River in Russia to east of modern Kazakhstan. Not as cute and cuddly as previously imagined but still kinda' cool. I like it when things people scoff at are proved true. I guess as a Christian I always feel a little solidarity with the scoffed-at. Even though this strong streak of schadenfreude is probably not really Christian of me.